The Israeli violinist Vadim Gluzman is making a welcome appearance in London on Saturday 27 January 2018 when he is the soloist in Leonard Bernstein's Serenade with the BBC Symphony Orchestra conductor David Charles Abell, as part of an all-Bernstein programme which includes the overture to Candide and Songfest. Serenade, a violin concerto in all but name, is Bernstein's musical philosophical reflection on Plato, in complete contrast to the vibrancy of the Candide overture which reflects the very different work of Voltaire. Rounding off the evening is Songfest, an orchestral song-cycle which uses and extravagant five soloists ( Sophia Burgos soprano, J’Nai Bridges mezzo-soprano, Fleur Barron mezzo-soprano, Nicky Spence tenor, Nmon Ford baritone) and sets poems ranging from Walt Whitman and Edgar Allen Poe to Gertrude Stein and EE Cummings. 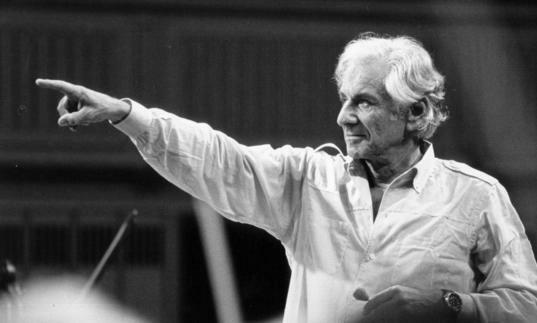 A highly eclectic work, Songfest was commissioned for the American bicentennial, Bernstein tried to encapsulate 300 years of American history in one work.